Tourism is also referred to as pilgrimage tourism, where the primary purpose of travel is for pilgrimage to Temples. Dumka is a notable place with its rich and varied temples and shrines. It is a place of rich tradition, heritage and historical significance. 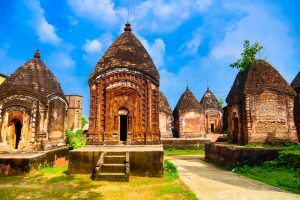 Here, we provide a list of some historical, most visited and famous pilgrimages in Dumka district along with their details. 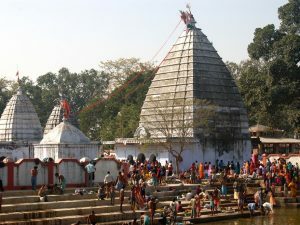 Naag Mandir Situated at the top of a hill of Shiv Pahar at Dumka. Shiv Pahar situated in Dumka Distt. is very famous among locals. 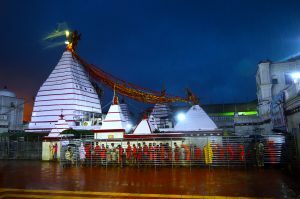 There are so many small temples are situated in the the temple complex of Shiv Pahar Temple. The main temple is dedicated to lordShiva.Nag Temple is situated at the top of the Shiv Pahar. Mayurakshi river is the major river of the Dumka District and is around 250 km long. The river has its source in the Trikut Hill. 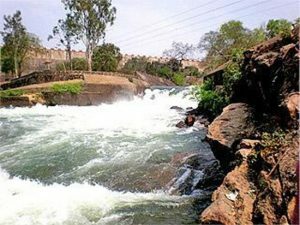 It flows through Jharkhand and then through the districts of Birbhum and Murshidabad in West Bengal before flowing into the Hooghly River. The river is about 250 kilometres. Masanjore is a famous picnic spot situated in Dumka District of Jharkhand. This small village is about 31 km south of Dumka. 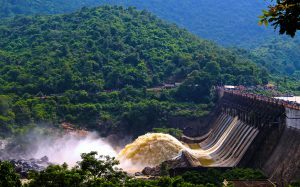 The dam is bounded by hills and forests, a perfect place for outing. Mayurakshi Bhawan Bungalow and Inspec­tion Bungalow offer excellent and comfortable accommodation in the village. 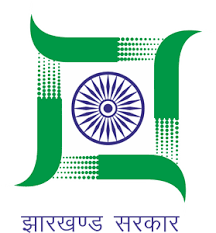 By road, Masanjore is connected with Vakreshwara (59 km), Sainthia (50 km), Tarapith (70 km), Rampurhat (62 km) and Deoghar (98 km). Masanjor dame or the Pearson dame on rever Mayurakshi is a picturesque place on foot hills of long range of forest clad parallel hill ranges. 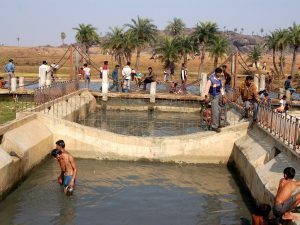 It is a hot water Spring, situated at a distance of 15 km from the district headquarters of Dumka. It is rounded by small mounts, beautiful, attractive and greenish natural atmosphere. The water of spring is very clear and healthy. 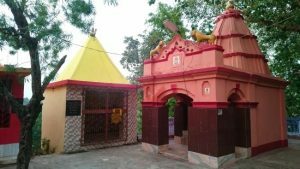 Mallooti is a historical and religious place which is situated in Shikaripara Block on Dumka Rampurhat interstate highway at a distance of 55 km from Dumka District headquarters. In 1860 Mallooti was made taxfree capital by the then King Basant Rai alias Basant. This Mallooti is associated with the archaeological and religious importal place for natural beauty.